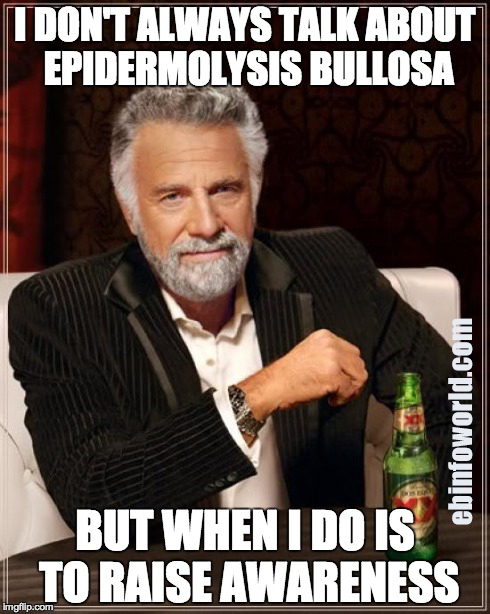 The moment you realize you’re the expert on Epidermolysis Bullosa. 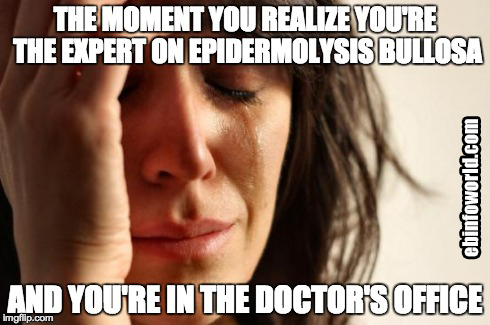 And you’re in the Doctor’s Office. 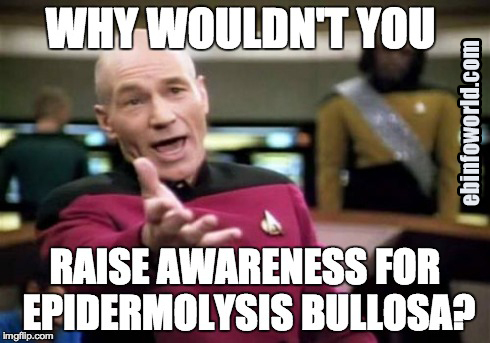 Why wouldn’t you raise awareness for Epidermolysis Bullosa? 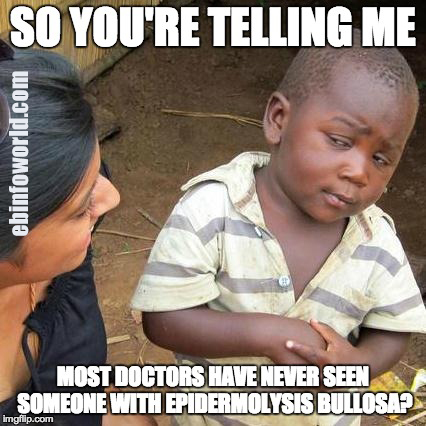 So you’re telling me… most doctors have never seen someone with Epidermolysis Bullosa? 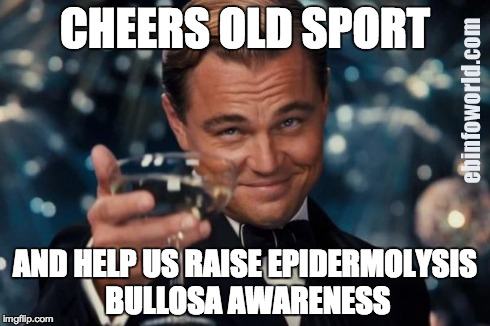 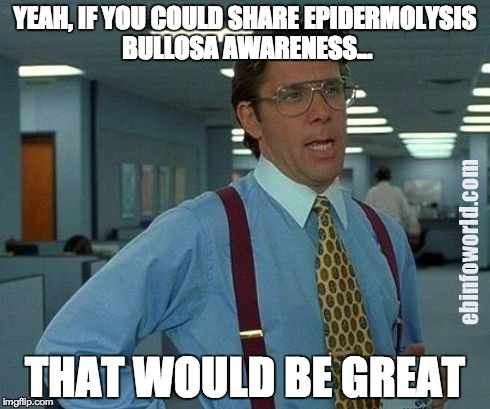 Yeah, if you could share Epidermolysis Bullosa Awareness… that would be great. 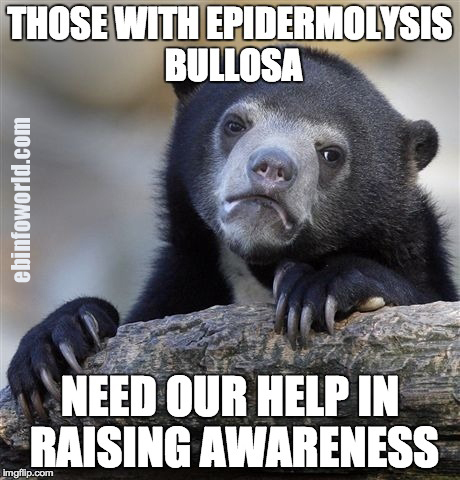 Oh, so you think Epidermolysis Bullosa can be CURED with a cream? 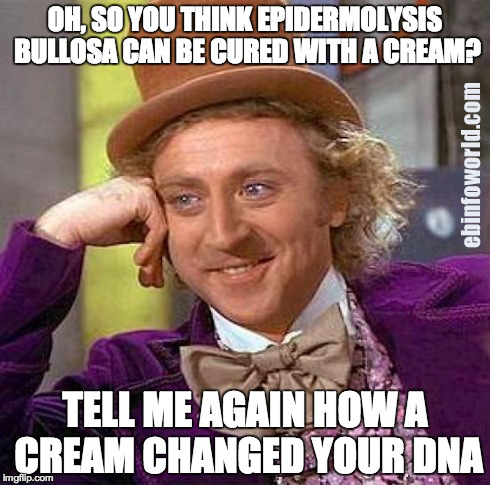 Tell me again how a cream changed your DNA. 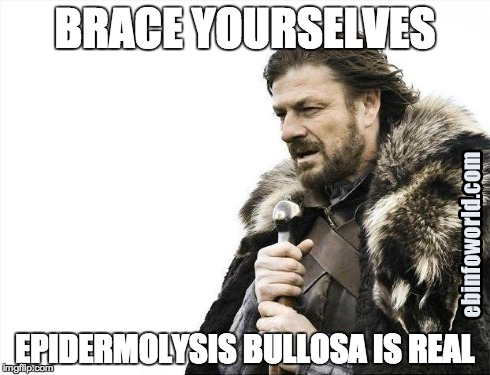 Brace Yourselves, Epidermolysis Bullosa is real. 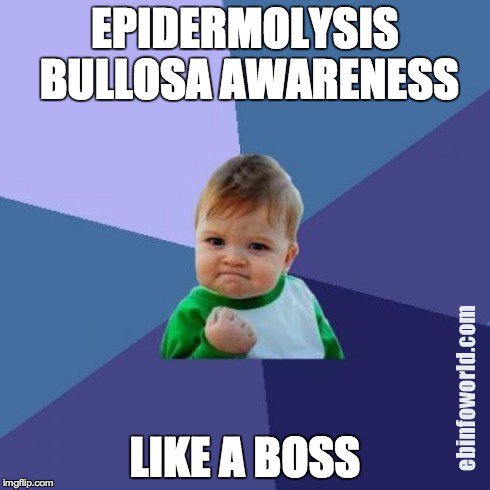 Epidermolysis Bullosa Awareness, like a BOSS. 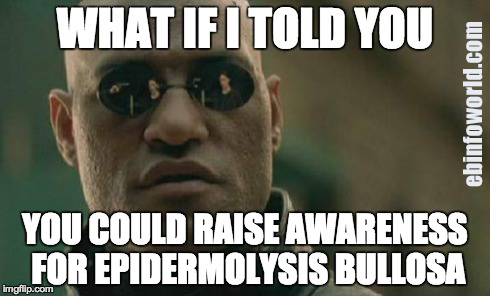 What if I told you… you could raise awareness for Epidermolysis Bullosa.